← What do homeschoolers do all day? Self-directed learners at their best! 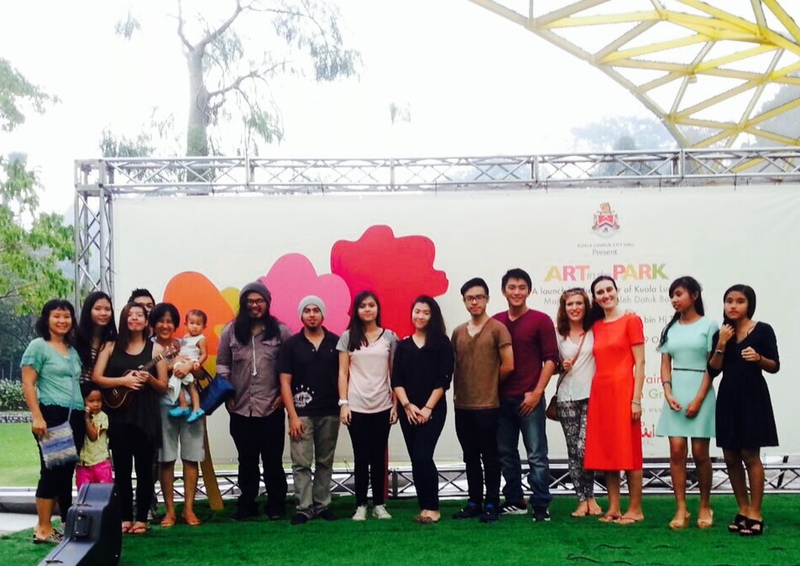 Last weekend we were involved with the Art for Grabs at the Lake Gardens, KL. 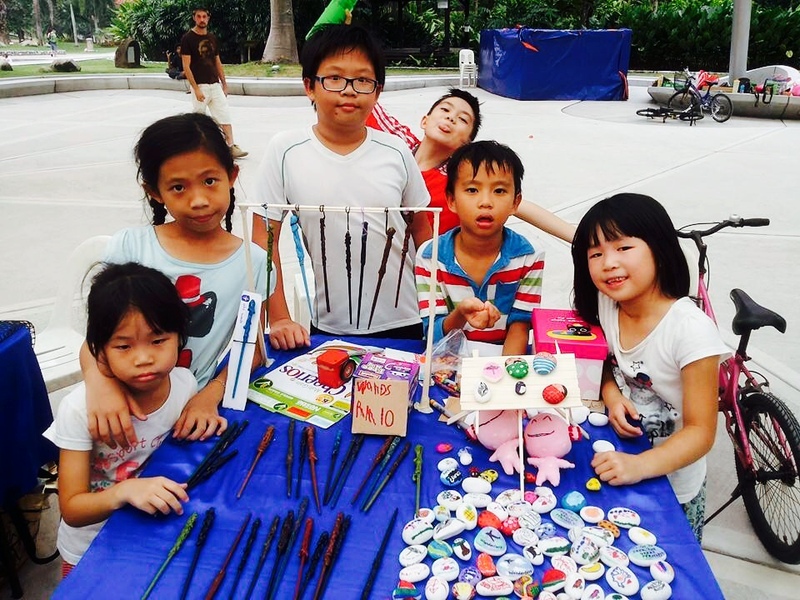 The kids were picked to have a table selling their hand-drawn stones and hand-made wands. And Amrita held her first TreeHouse Open Mic event since her return from Nashville! It was a dream come true for her to have her TreeHouse Open Mic amongst the trees at the park. And the response for it was very encouraging indeed! 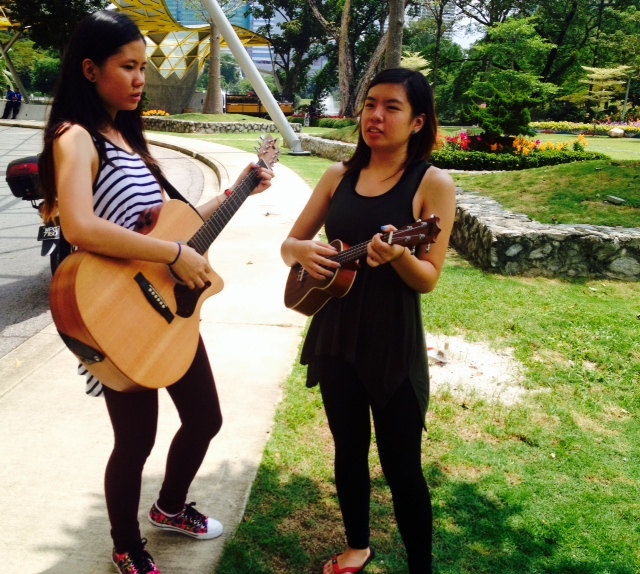 Sam also got involved and even performed at the open mic and did a song together with her sister! It was very well-received! So was the reception to the children’s stones & wands. 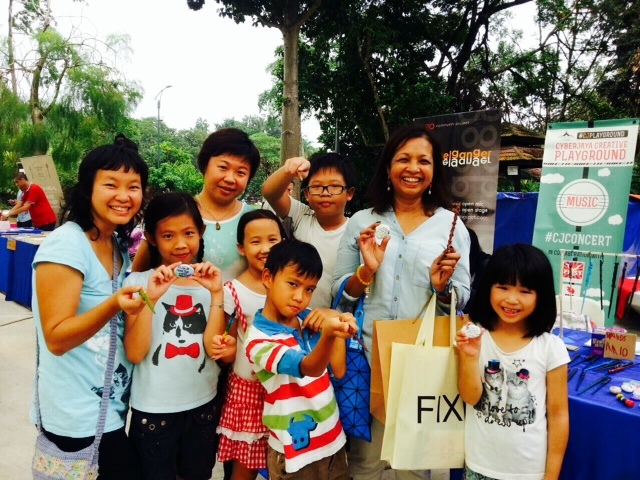 They even had a special visitor to their booth – Marina Mahathir! She took interest in their artistic work and even bought wands and stones from them! This was their first public testing ground for their entrepreneurial project, which previously was limited to homeschooling events only. And they were the only kids having a booth there amongst very established artists and designers! We were keen to see how the general public would respond to their products here. For two days, the kids worked hard setting up stall and talking to people and closing up at the end of the day. We parents are very impressed with their discipline and dedication towards their “job”, especially the girls who showed greater persistence when it came to selling. The boys were more keen to have a good time riding their bikes in the vicinity of the fair. All in all, they all cooperated well to make this sales outing a success! Looking forward to more future art sales and outings with the kids! 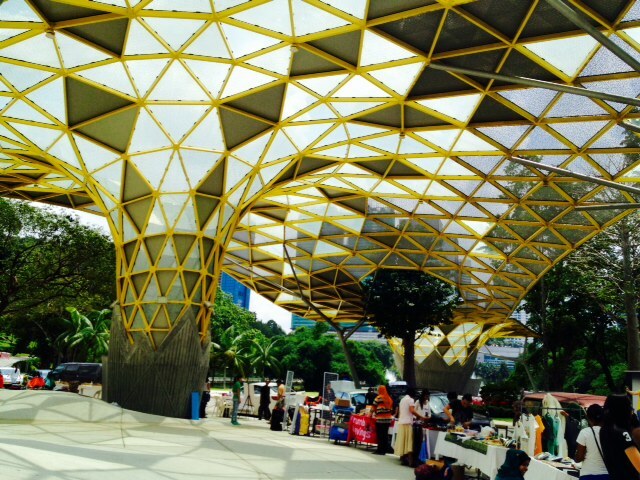 Do visit their FB Page Uka Wands and Meila Stones and Bake!